at the lowest curve of the water tower. 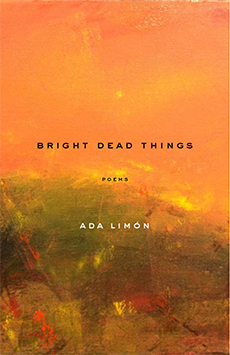 Bright Dead Things is organized into four untitled sections, each of which contain a number of poems that seem to revolve around common themes or ideas. “In a Mexican Restaurant…” takes place in the second section, which deals largely with loss; the third section includes poems on love, relationships and sexuality that crackle with honesty, vulnerability, and strength in equal measure, and humor (“I imagine the insides of myself sometimes— / part female, part male, part terrible dragon,” from “Accident Report in the Tall, Tall Weeds”); and the fourth is populated with travel, as well as thoughts about family/heritage—and the connection between the two is treated with significance. who still had a next. Brandon Amico is from New Hampshire. His poems have appeared or are forthcoming in Booth, The Cincinnati Review, Hayden’s Ferry Review, Hunger Mountain, New Ohio Review, Phoebe, Slice, Verse Daily, and other journals. You can follow him on Twitter, @amicob, or visit him at www.brandonamico.com.